Yellow flowers are known for making the recipient feel an instant sense of joy and satisfaction. 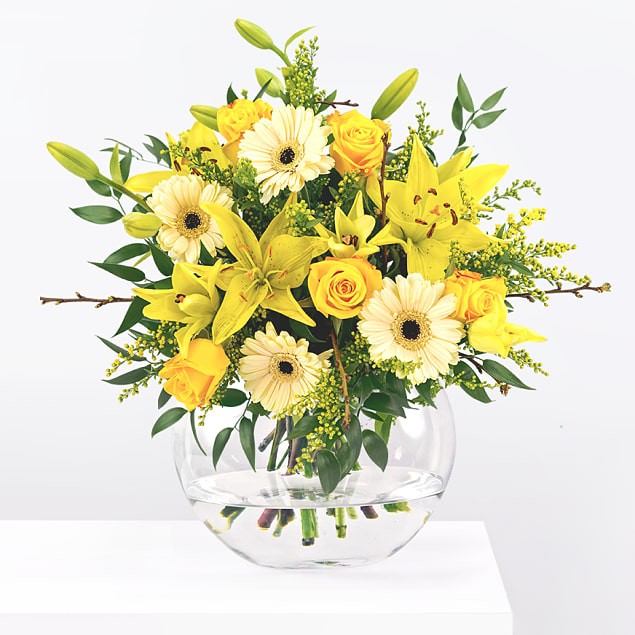 This arrangement includes Germinis, lilies, and roses all in various golden shades. 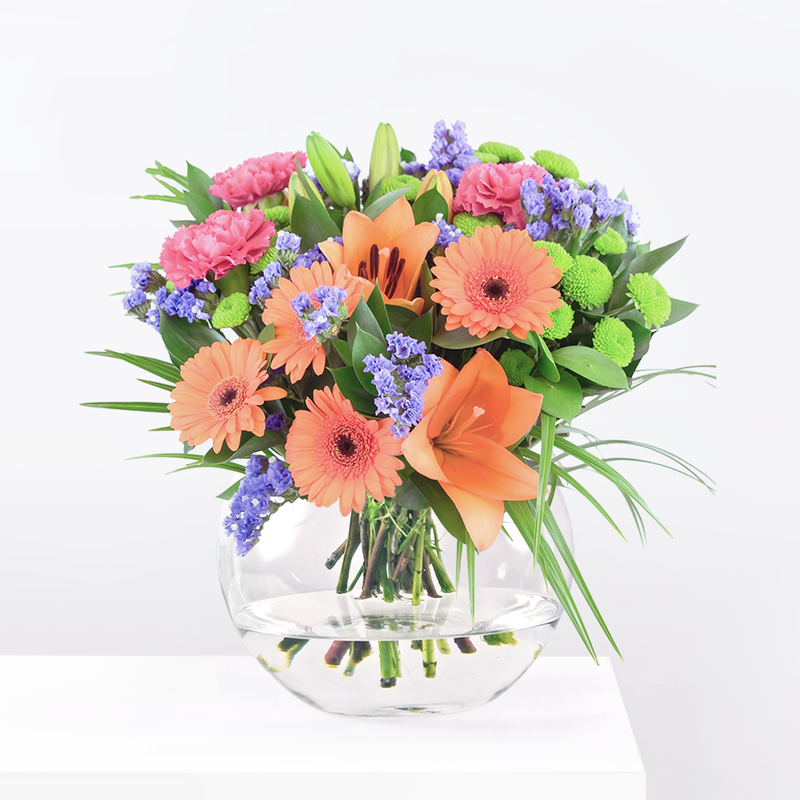 Our team of expert florists also include Birch and Solidaster to top this arrangement off. Our Honeysuckle arrangement pays homage to one the original cottages built within the Barnardo's village. Honeysuckle has been added to your basket.